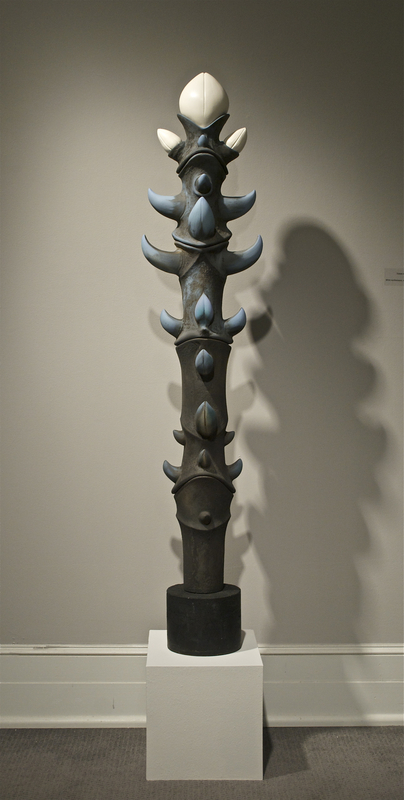 Tree Totem IX is the last and tallest sculpture in a sequential group of nine clay sculptures. Comprised of five forms threaded onto a steel rod, they are stacked snugly into one another to create a singular totemic form. It is hand-built using white earthenware air-brushed with dark, cool colors of terra sigillata. 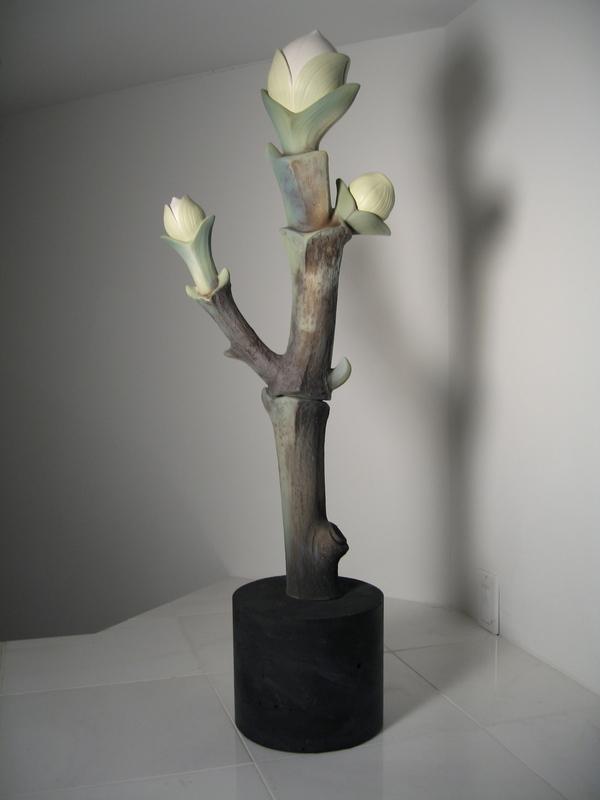 The dark colors are matte on a textured surface and serve as a sharp contrast to the smooth, white, burnished, protruding forms that give the appearance of new growth. These hopeful buds emerge from the crusty, vertical surface of the Tree Totem. These nine vertical sculptures are unlike any work I had previously done. 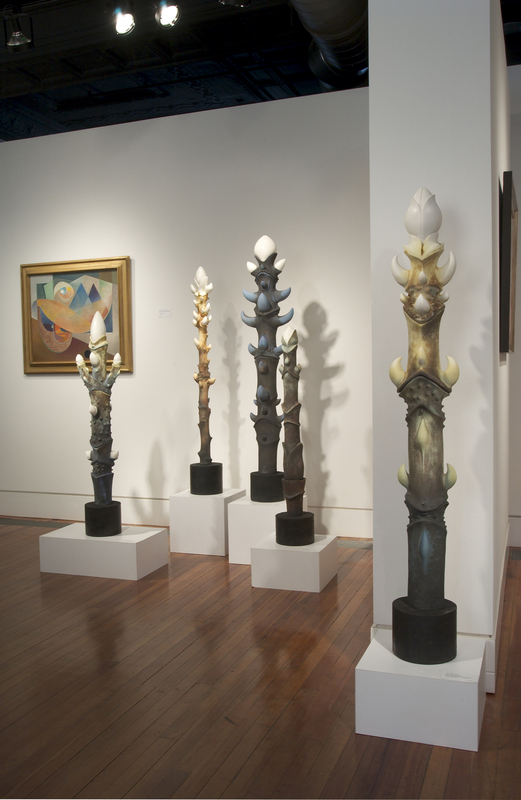 The creative process that resulted in the totem series arose from two tragic, life-changing events that I experienced between 1983 and 2001. My earlier work had been, for the most part, quiet, peaceful and meditative, but 9/11 and the repressed memories of the horrific death of my husband in a fiery plane crash in 1983 would ultimately take my journey in art and in life down a vastly different path. My work has always been about nature, my fascination with growth, the seasons, and life cycles, but for me the Tree Totem series signified resilience in a new way.